Kufri 2,633 mts, Himachal is a tiny hill station. Famous for its trekking and hiking trails. It is also famous for its beautiful environs and the cool refreshing atmosphere, picnic spots that pervades it. Kufri, attracting tourists from all over the world. Located 16 kms from Shimla on the National Highway No.22, Kufri is a scenic destination to explore. The origin of the town can be attributed to a pond or ‘kufer’, to which the town also owes its name. Today, the town of Kufri, one of the most popular tourist destinations of Himachal Pradesh, is centered around the ‘kufer’, which forms one of the most important tourist attractions of Kufri and a definite must visit while on a tour to Kufri. In summers, travelers can enjoy the panoramic view of the surrounding verdant valleys and snow-capped peaks. There are a number of picnic spots, hiking and trekking trails in and around Kufri. Beautified naturally with locales so beautiful that they make you wish you could have stayed there forever, a tour to Kufri is definitely an experience of a lifetime. Visit the most heavenly lake filled with the clearest blue water, Kufri is one of the most popular tourist destinations of Himachal Pradesh. Kufri hill station is a skiers paradise and is made even more special, when planned during winter, when the entire region is covered with a thick blanket of snow. Summer months also offer ample opportunities for hiking, trekking, horse-riding and tobogganing. Once under the Kingdom of Nepal, Kufri emerged as a tourist destination only when the British developed Shimla as the summer capital. Kufri consists a number of picnic spots, hiking and trekking trails in and around Kufri. 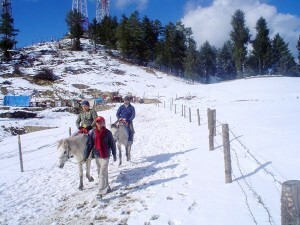 Travelers can explore Kufri and its surrounding areas also on horseback. They can hike through thick forest around Kufri to the Mahasu Peak. The other places to visit in Kufri are the Himalayan Nature Park, which has a collection of animals and birds found only in Himachal Pradesh, and the Indira Tourist Park with HPTDC’s Cafe Lalit, which is near the Himalayan Nature Park and provides some great views of the nearby places. Discover Kufri on your travel and make your tour a worth while experience. 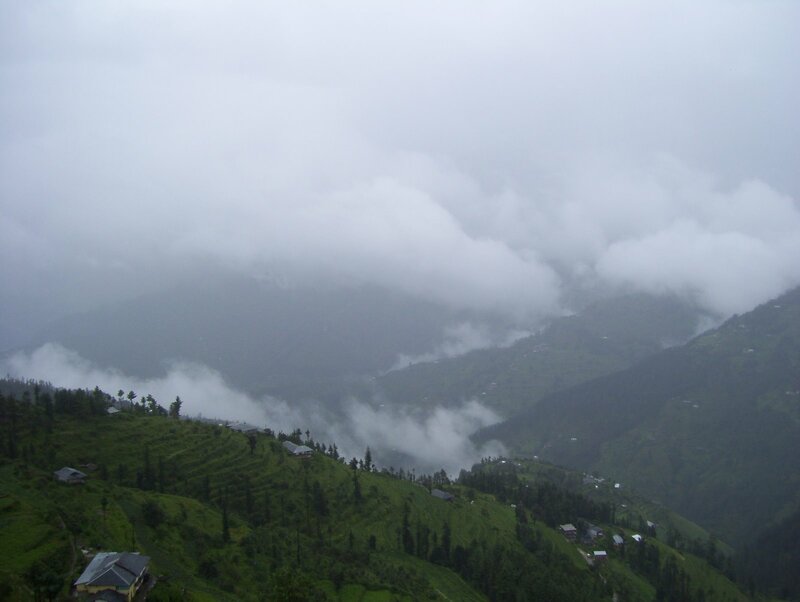 Shimla is one of the most beautiful places that you can visit from Kufri. Shimla is one of the most popular hill resorts in Himachal Pradesh and attracts a number of tourists every year. 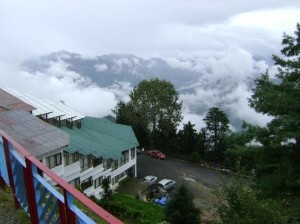 Shimla offers a wholesome experience to a traveler. Fagu is another wonderful spot near Kufri that one can visit. Kufri, One of the oldest and smallest hill stations of Himachal Pradesh in India, Kufri is associated with skiing and slopes. A famous tourists destination for winter-sports, Kufri is located at a distance of 19 km from the state capital of Himachal Pradesh, Shimla. Located at a height of 2501 m above sea-level, Kufri was discovered by British army officer in the year 1930 and within short span of time, Kufri became one of the popular winter resorts in Himachal Pradesh. The two main attractions located nearby Kufri are Himalayan national park and Indira park, the turf of Indira park gives panoramic view of the place. Tourists, who come to enjoy the calm and peaceful atmosphere of the park can also go for a Pony or a Yak ride, which is organized by the travel & tourism department of the Himachal Pradesh. Apart from the natural beauty, which is common among all the hill stations in India, Kufri attracts tourists for its adventurous activity called skiing. Every year the government of Himachal Pradesh organizes an annul skiing competitions, that witness huge number of adventure freak tourists. 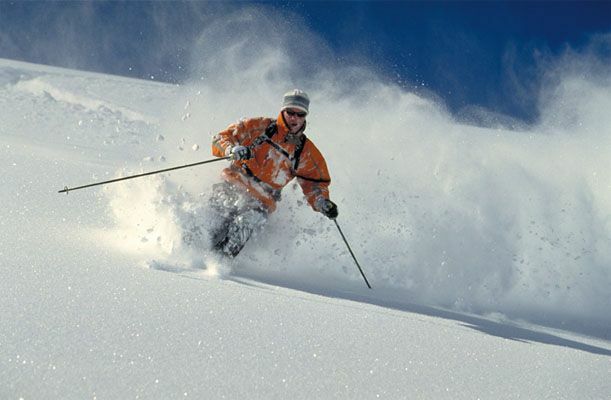 Known as famous ski resort of Himachal Pradesh, Kufri offers its tourists a perfect location for skiing. The Mahasu Ridge, which is just above Kufri, is one of the famous slopes in the Kufri region. Every year during the winter season, tourists flock to this place for the skiing experiences. The slopes available at Mahasu ridge are suitable for the beginner as well as advance skier. 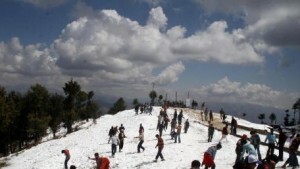 Various courses are organized by the Himachal Tourism for the tourists to learn skiing. Especially during the month of February a great number of skiing lovers flock to this region to attend the annual winter sports festival. Annual winter sports festival is organized by the travel & tourism department of Himachal Pradesh in the month of February. The main event held during this festival is skiing competition, which is attended by the best skiers from all over the world. The state government spares no effort in making the place more comfortable and enjoyable for the skier. This is one of the best way to explore and discover the natural beauty of any place. If a person has got enough patience and stamina then nothing could be as exciting as horse/ yak safari. Passing through the lush green forests, sky-touching mountains and gushing rivers, the journey through this mode of convenience gives excellent enjoyment and satisfaction. By Bus : Buses link Kufri with Shimla, Narkanda and Rampur. State owned transport buses and private deluxe buses are available from Shimla to Kufri. By Train : The nearest railhead is at Shimla in narrow gauge rail route and Broad Gauge railway station is at Kalka.